Work has finally started on the refurbishment of MVS Curlew, our Nelson 34 patrol launch now residing at Fiddlers Ferry near Warrington and a fully costed scheme of work has been drawn up. 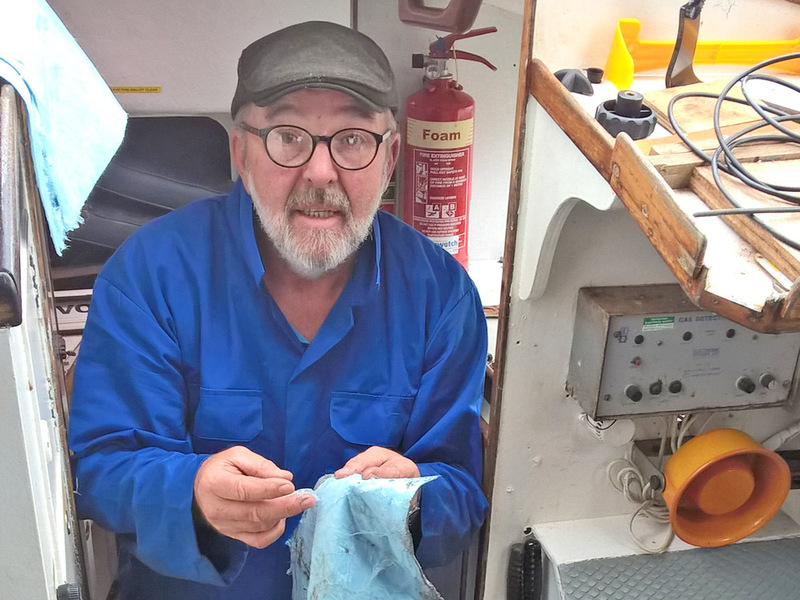 Our volunteer engineer, John Griffen was keen to get the dirty jobs out of the way so on a cold November morning he met up with Chris Todd who is managing the project for the MVS at the boat yard. Armed with all the necessary items a start was made to remove the lids from the two diesel tanks. With a good deal of effort the lids came free and to everyone’s delight the tanks were found to be nearly empty. Following a swift pumping operation the diesel was gifted to our next door neighbours who would use if for their diesel fuelled heating system. “All we have to do now is clean the tanks” said John, “even Chris can manage that”. Picture: John Griffen working on Curlew.